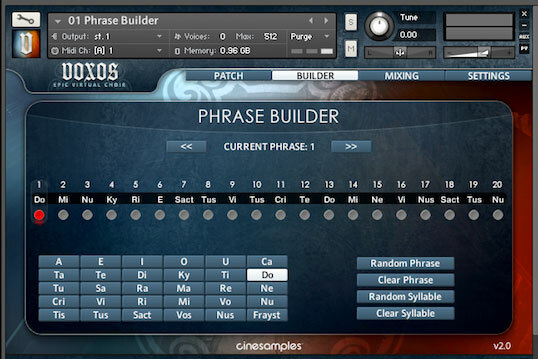 Click here to download the Voxos Sibelius Sounds Sets. 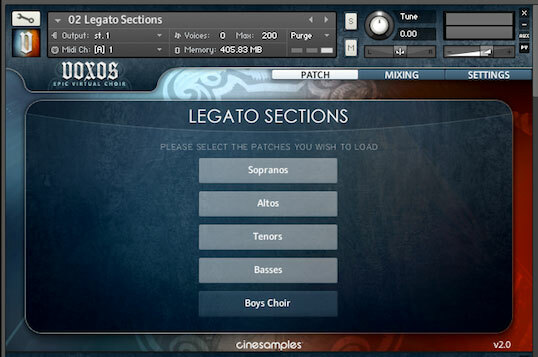 Powered by the industry-leading Kontakt Player engine, VOXOS contains world-renowned choirs and soloists with over 15 years of experience recording for countleszs Hollywood films, trailers, video games and the concert stage. Recorded at the legendary Bastyr Chapel, with its gorgeous acoustics, the choirs were captured with multiple microphone positions in 24bit/48k 5.1 surround. The result is a pristine tone that sounds great right out of the box. 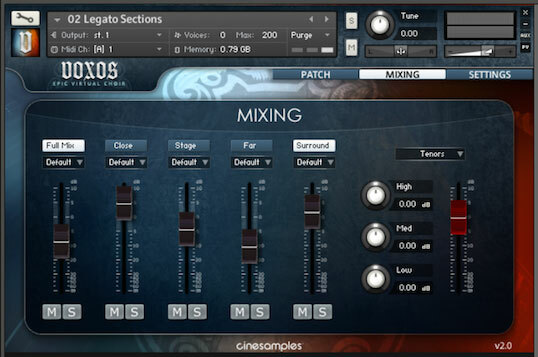 VOXOS contains over 35,000 samples, at an uncompressed size of 35GB. WHAT'S NEW IN VOXOS 2? Featuring a newly recorded and mixed sample set, along with additional script improvements and features, the new and improved VOXOS 2 is such a substantial update we consider it a reboot of the library. 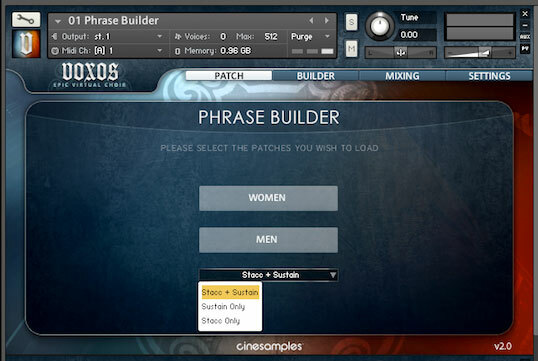 Besides the multitude of patch and script fixes that enhance playability, VOXOS 2 now offers the ability to quantize your Phrase Builder performance, and adds another dynamic layer on top of it (FFF!). 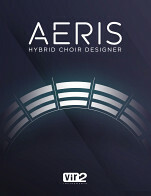 We've also introduced three brand new patches to the library- Chords, Octaves, and a fresh Solo Soprano. 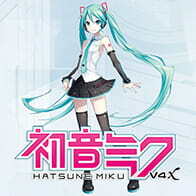 Seattle has long since become the recording center of the A-list video game/trailer soundtrack world. As it happens, the VOXOS sessions were recorded following Bungee's Halo Reach sessions and proceeding Blizzard's monumental World of Warcraft; Cataclysm. 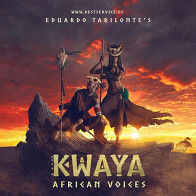 The musicians involved in this project are constantly participating in such high profile acts as these. In fact, some of our men sang on the famous Gregorian-style intro to the original Halo videogame for XBOX. Bastyr's main stage chapel offers one of the highest quality recording venues in the country. Its unique acoustic signature is akin to Symphony Hall in Boston and the retired Paramount Scoring Stage in Los Angeles. An extremely flattering hall for vocalists and instrumentalists – contributing to the familiar Hollywood style reverb bed without the tasteless metallic tinge and never ending ring- out that the majority of cathedral's give. Combine that with the highest end recording gear available and the table is set for excellence. To really get an accurate representation of Los Angeles style soundtrack choirs, we had to include a boys children's choir and soloist. The 15-piece boys choir covers roughly the range of the Altos transposed up by a major third. Our solo boy was captured from C3 to A4. With an amazingly transforming tambre – the purest sound imaginable in his soprano and a charming inward sound in his lowest third. These children possessed amazingly mature musical discipline, excepting guidance from the booth and their choir master in the same professional manner as the other sections. This was quite an achievement considering that they were all under 12 years of age. As one of our trusted colleagues once stated: "There are no shortcuts when it comes to legato." Our true sectional legato covers the full ranges of the Sopranos, Altos, Tenors, Basses, Boys and Soloists. After much trial and error, we were able to formulate a recipe for recording legatos in the most musical and accurate manner possible. It may not be evident while playing the patches how many samples you are triggering back and forth but it is mind blowing when you stop and look at the audio files involved in one patch, at one microphone position. On the surface things seem simple, but much is going on under-the-hood. During programming all 35,000 samples and transitions are meticulously tightened by hand. This process takes fresh ears and cannot be rushed or automated. The charming human inaccuracies which give live performances vibe and soul also cause issues when aligning samples during programming. We have, without exaggeration, been tweaking the legatos for over six months – still making final tweaks the moments before delivering to Native Instruments for encoding. It needs to be perfect or its not going out the shop door. They call it voice leading for a reason. From day one, composers of all styles are taught the value and importance of proper voicings. It all begins with SATB, the notable 4 part chorale diagrams in music textbooks all over the world. It is the basis of all chorale writing, the foundation of jazz ensemble writing – the glue of all composing. It was something we had to address, and address from the point of view of a composer under the anxiety of an approaching deadline. Way back, months before a note was recorded, the entire final product was thought out, sketched and tested. We knew what we wanted as an end result and we backed up from there – we didn't just roll the dice on the recording sessions and see what we ended up with. We knew we wanted to stay in Kontakt. We knew we wanted to avoid artificial word synthesis – aka Apple Talk or the Steven Hawkings effect. We knew we wanted to have the simplest, most powerful phrase building interface possible. We knew we wanted to enter all word data only once with just a few clicks with no external programs running. We knew we wanted the engine to keep track of the words no matter the articulation – long or short. We knew we wanted it to use the absolute minimum of MIDI CC controllers possible and be processor-friendly to our computer. We knew all of this plus more. It was just a question of finding the right way to make it happen. As composers, we own tons of soundtrack recordings and we keep up to date with new trends in the soundtrack world. We wanted FX that would integrate and cooperate with other tracks in your template, not dated, crazy, unusable stuff that is only good for that rarely requested track. Aside from our assortment of grunts, shouts, whispers, layers and risers we also went in a tonal direction – recording beautifully layered divisi clusters and female "bum-bums". 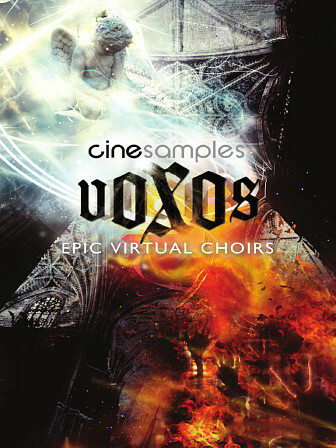 The Following End User License Agreement is included with Voxos: Epic Virtual Choir. This License is only valid for the individual who has purchased an unopened, new and lawfully made copy of Voxos: Epic Virtual Choir from a dealer or distributor authorized by Big Fish Audio. "Please read this software license agreement (“License”) carefully before using this Cinesamples software library (“Library”). By using the Library, you are agreeing to be bound by the terms of this License. If you do not agree to the terms of this license, do not use the Library. If you do not agree to the terms of this License, you may return the Library to the place where you obtained it for a refund. If the Library was accessed electronically, click “Disagree/Decline”. This Library may be used to reproduce materials. It is licensed to you only for reproduction of non-copyrighted materials, materials in which you own the copyright, or materials you are authorized or legally permitted to reproduce. If you are uncertain about your right to copy any material you should contact your legal advisor. The Library and any third party software, content, and documentation accompanying this License, whether on disk, in read-only memory, on any other media or in any other form, are licensed, not sold, to you by Cinesamples, LLC (“Cinesamples”) for use only under the terms of this License, and Cinesamples reserves all rights not expressly granted to you. You own the media on which the Library is recorded but Cinesamples and/or Cinesamples’ licensors retain ownership of the Library itself. The terms of this License shall govern any software upgrades provided by Cinesamples that replace and/or supplement the original Library, unless such upgrade is accompanied by a separate license in which case the terms of that license shall govern. You are entitled to install and use the Library on up to two computers or samplers provided you are the sole owner of these devices. This License does not allow the Library to exist on more than two computers at a time, and you may not make the Library available over a network where it could be used, downloaded, or installed by multiple computers at the same time. The Library may be used to reproduce materials so long as such use is limited to reproduction of noncopyrighted materials, materials in which you own the copyright, or materials you are authorized or legally permitted to reproduce. You may make one copy of the Library in machine-readable form for backup purposes only; provided that the backup copy must include all copyright or other proprietary notices contained on the original. Upon purchase of the Library, you will be provided with a personal serial number (“Key”) that is unique to you. The Key will be used to activate your installation application. If you purchased the Library in boxed form, you will be sent your Key via email from Cinesamples shortly after submitting your identification number to our authorization email account. The Key will be embedded into all files used by the Library. It is important to keep your Key and your copy of the Library secure at all times, as all content generated by the Library will be directly traceable to you. You may not and you agree not to, or to enable others to, copy (except as expressly permitted by this License), decompile, reverse engineer, disassemble, attempt to derive the source code of, decrypt, modify, or create derivative works of the Library or any services provided by the Library, or any part thereof (except as and only to the extent any foregoing restriction is prohibited by applicable law). Any attempt to do so is a violation of the rights of Cinesamples and its licensors of the Library. If you breach this you may be subject to prosecution and damages. You may not transfer, rent, lease, lend, sell, or sublicense the Library. You may not repackage, resell, or redistribute any of the content of the Library in any form. 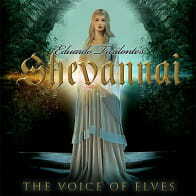 The Library may not be distributed by any method or device other than Cinesamples or an authorized Cinesamples dealer. All components of the Library are provided as a bundle and may not be separated from the bundle or distributed as standalone applications. You agree that Cinesamples and its subsidiaries may collect and use technical and related information, including but not limited to technical information about your computer, system, and application software, and peripherals, that is gathered periodically to facilitate the provision of software updates, product support, and other services to you (if any) related to the Library, and to verify compliance with the terms of this License. Cinesamples may use this information, as long as it is in a form that does not personally identify you, to improve its products or to provide services or technologies to you. This License is effective until terminated. Your rights under this License will automatically terminate without notice from Cinesamples if you fail to comply with any terms of this License. Upon the termination of this License, you shall cease all use of the Library and destroy all copies, full or partial, of the Library. Cinesamples warrants the media on which the Library is recorded and delivered by Cinesamples to be free from defects in materials and workmanship under normal use for a period of ninety (90) days from the date of original retail purchase. Your exclusive remedy under this paragraph shall be, at Cinesamples’ option, a refund of the purchase price of the Library or replacement of the Library which is returned to Cinesamples or a Cinesamples authorized representative with a copy of the receipt. This limited warranty and any implied warranties on the media including, but not limited to, the implied warranties of merchantability, of satisfactory quality, and of fitness for a particular purpose, are limited in duration to ninety (90) days from the date of original retail purchase. Some jurisdictions do not allow limitations on how long an implied warranty lasts, so the above limitation may not apply to you. The limited warranty set forth herein is the only warranty made to you and is provided in lieu of any other warranties (if any) created by any documentation or packaging. This limited warranty gives you specific legal rights, and you may also have other rights which vary by jurisdiction. By removing the outside seal of any packaging that may come with the Library, you acknowledge and agree that the Library may not be returned to Cinesamples or a Cinesamples authorized representative, subject to the limited warranty on media set forth above. You expressly acknowledge and agree that use of the Library is at your sole risk and that the entire risk as to satisfactory quality, performance, accuracy and effort is with you. Except for the limited warranty on media set forth above and to the maximum extent permitted by applicable law, the Library is provided “as is” with all faults and without warranty of any kind, and Cinesamples and Cinesamples’ licensors hereby disclaim all warranties and conditions with respect to the Library, either express, implied, or statutory, including but not limited to the implied warranties and/or conditions of merchantability, of satisfactory quality, of fitness for a particular purpose, of accuracy, of quiet enjoyment, and noninfringement of third party rights. Cinesamples does not warrant against interference with your enjoyment of the Library, that the functions contained in the Library will meet your requirements, that the operation of the Library will be uninterrupted or error-free, or that defects in the Library will be corrected. 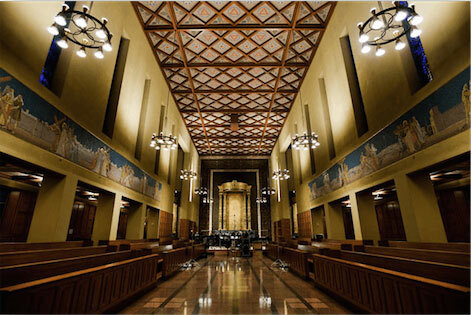 You further acknowledge that the Library is not intended or suitable for use in situations or environments where the failure of, or errors or inaccuracies in the content, data or information provided by, the Library could lead to death, personal injury, or severe physical or environmental damage. No oral or written information or advice given by Cinesamples or a Cinesamples authorized representative shall create a warranty. Should the Library prove defective, you assume the entire cost of all necessary servicing, repair, or correction. Some jurisdictions do not allow the exclusion of implied warranties or limitations on applicable statutory rights of a consumer, so the above exclusion and limitations may not apply to you. You acknowledge that Cinesamples makes no representations or warranties with regard to any web sites or information displayed or accessed through the Library. Certain services may include materials from third parties. You agree that you will not use any third-party materials in a manner that would infringe or violate the rights of any other party, and that Cinesamples is not in any way responsible for any such use by you. Cinesamples, its officers, affiliates, and subsidiaries shall not, directly or indirectly, be liable, in any way, to you or any other person for the content you use, receive, or view using the Library, or for any inaccuracies, errors in or omissions from the content.To the extent not prohibited by law, in no event shall Cinesamples be liable for personal injury, or any incidental, special, indirect or consequential damages whatsoever, including without limitation damages for loss of profits, loss of data, business interruption or any other commercial damages or losses, arising out of or related to your use or inability to use the Library, however caused, regardless of the theory of liability (contract, tort, or otherwise) and even if Cinesamples has been advised of the possibility of such damages. Some jurisdictions do not allow the limitation of liability for personal injury, or of incidental or consequential damages, so this limitation may not apply to you. In no event shall Cinesamples’ total liability to you for all damages (other than as may be required by applicable law in cases involving personal injury) exceed the amount of fifty dollars ($50). The foregoing limitations will apply even if the above stated remedy fails of its essential purpose. You may not use or otherwise export or re-export the Library except as authorized by United States law and the laws of the jurisdiction in which the Library was obtained. In particular, but without limitation, the Library may not be exported or re-exported (a) into any US-embargoed countries or (b) to anyone in the US Treasury Department’s list of Specially Designated Nationals or the US Department of Commerce Denied Person’s List or Entity List. By using the Library, you represent and warrant that you are not located in any such country or on any such list. You also agree that you will not use the Library for any purposes prohibited by US law. This License will be governed by and construed in accordance with the laws of the State of California, as applied to agreements entered into and to be performed entirely in California between California residents. This License shall not be governed by the United Nations Convention on Contracts for the International Sale of Goods, the application of which is expressly excluded. If for any reason a court of competent jurisdiction finds any provision, or portion thereof, to be unenforceable, the remainder of this License shall continue in full force and effect. This License constitutes the entire agreement between the parties with respect to the use of the Library licensed hereunder and supersedes all prior or contemporaneous understandings regarding such subject matter. No amendment or modification of this License will be binding unless in writing and signed by Cinesamples. Any translation of this License is done for local requirements and in the event of a dispute between the English and any non-English versions, the English version of this License shall govern."